September, 2018 | Clean Air Act Inc.
Have you ever played “Two Truths and a Lie?” It’s the perfect ice-breaker for meetings and classrooms. We think it’ll be just as fun when talking about air conditioners. The refrigerant in the system never needs to be changed. An air conditioner that’s too big is better than one that’s too small. Air fresheners can create leaks in copper refrigerant coils. 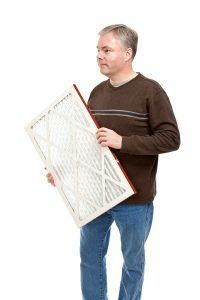 The most overlooked and underappreciated part of your HVAC system is none other than… the air filter! The air filter is the silent defender in your HVAC system, blocking out dust and dirt and contaminants from causing a mess of problems for your system. In this post, we’ll go over everything you need to know about air filter types, how to change it, and what happens when you don’t change it.